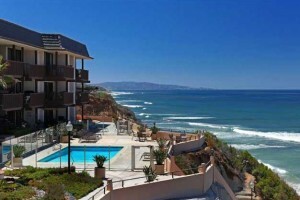 Coastal Orange County Real Estate homes, condos, apartments and estates. We're going to be moving towards the end of January and are looking for a 2 bedroom, 2 bath (or better) condo, apartment or beach house to rent. Preferred locations would be Del Mar Heights (San Diego), Del Mar, Solana Beach, Encinitas or potentially Carlsbad, San Clemente, Dana Point or Newport Beach. Must have parking for two vehicles, laundry. Hope to find something within a short bike ride from the ocean. A pool, spa and workout room would be awesome. Ability to BBQ a must. We could pay up to $2500 a month for the right place, but prefer to stay closer to $2000. A trade or partial trade for management, marketing or social media services might be mutually beneficial for the right partner or landlord. We would definitely be interested in a lease/purchase option situation as well. If you happen to have a place to rent near the beach in North San Diego County or south Orange County, I would like to hear from you. CoastalOCLiving.com. Simple theme. Powered by Blogger.